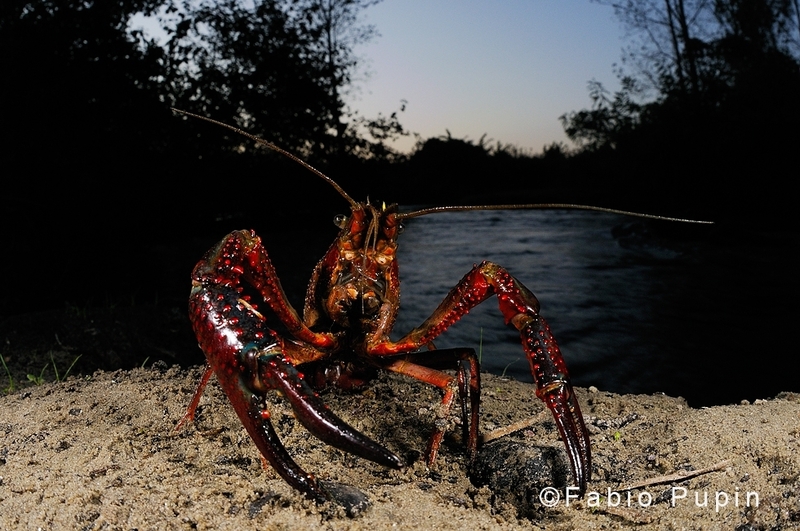 According to the IUCN (International Union for Conservation of Nature), alien species are one of the main causes of biodiversity loss, together with global warming and habitats jeopardizing. Globalization helped many species to spread out of their native home. 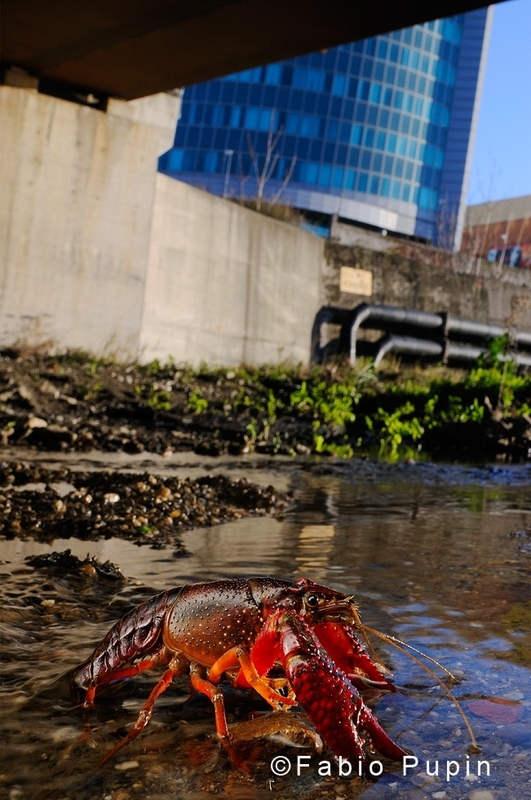 Today there are hundreds of dramatic case stories including plants and animals, but the world-wide invasion of the Louisiana crayfish is one of the most impressive. 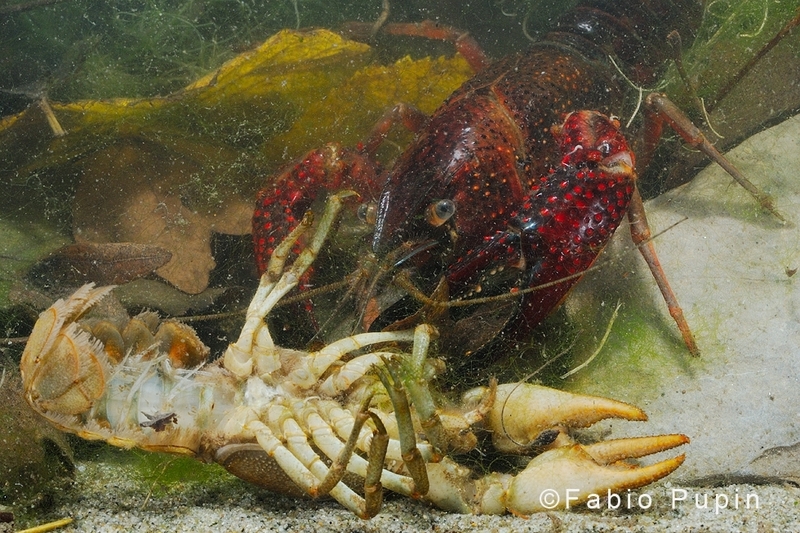 Introduced throughout Europe from the southern USA to be farmed and then served as a dining delicacy in restaurants, the Lousiana crayfish (Procambarus clarkii), is now one of the most successful invaders of freshwater habitats. 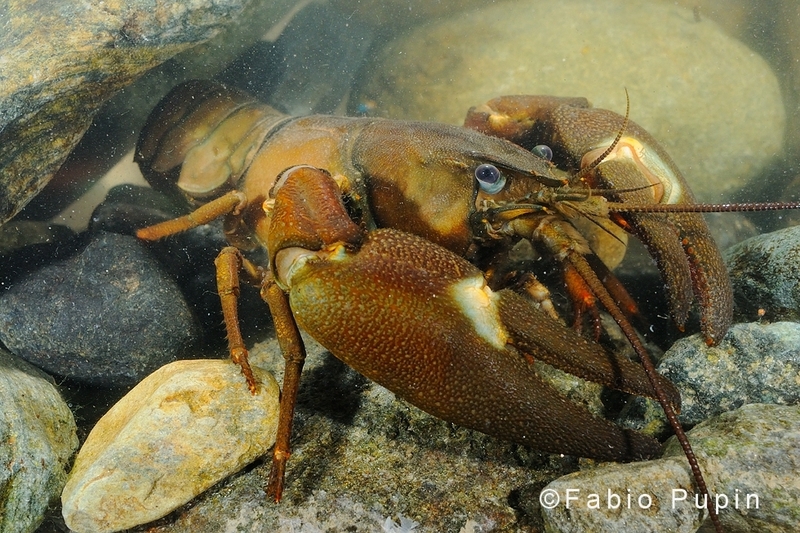 This big (old males can reach 20 cm in body lenght, aggressive and adaptable crustacean colonized, with the help of humankind, all the continents of the planet except Antarctica and Oceania and, day after day, its range still grows. 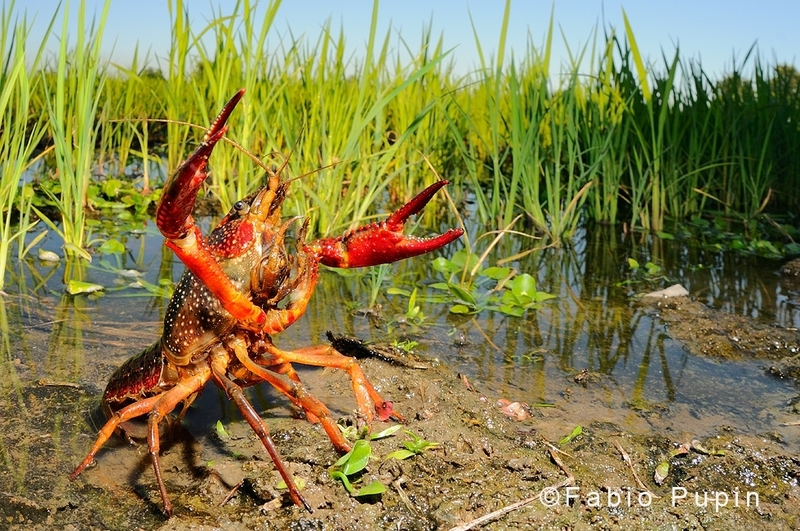 In Europe it was firstly introduced in Spain in the ’70s, to offset the depletion of the native stocks, doomed by the crayfish plague, vectored by the fungus Aphanomyces astaci. But the resistance to this deadly plague is not its only key to the success.It is also able to dig holes in banks to shelter during winter and dry seasons, and females use these burrows to spawn more than one thousand eggs every year. Moreover, it’s very resistant to pollution and bad water quality and it can survive out of its element for long periods, marching for extraordinary distances to reach suitable places to live. 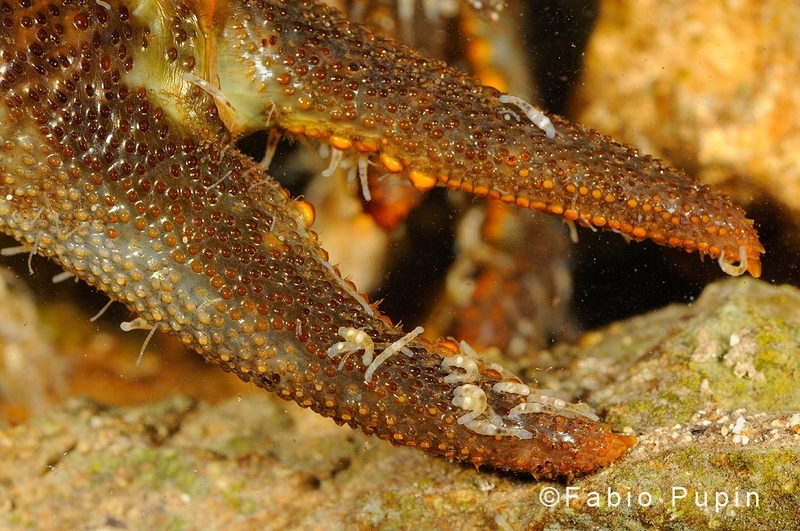 And every small native organism can be threatened by this adaptable crustacean: it eats not only the acquatic vegetation, including rice, but also amphibians eggs, tadpoles and even adults. 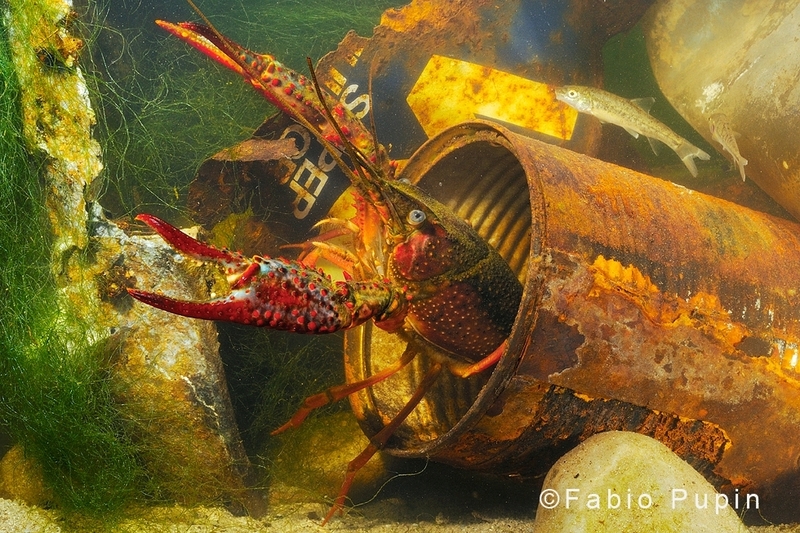 Also, the native crustacean populations are severely damaged when they come in contact with this species, due to direct competition and disease transmissions. 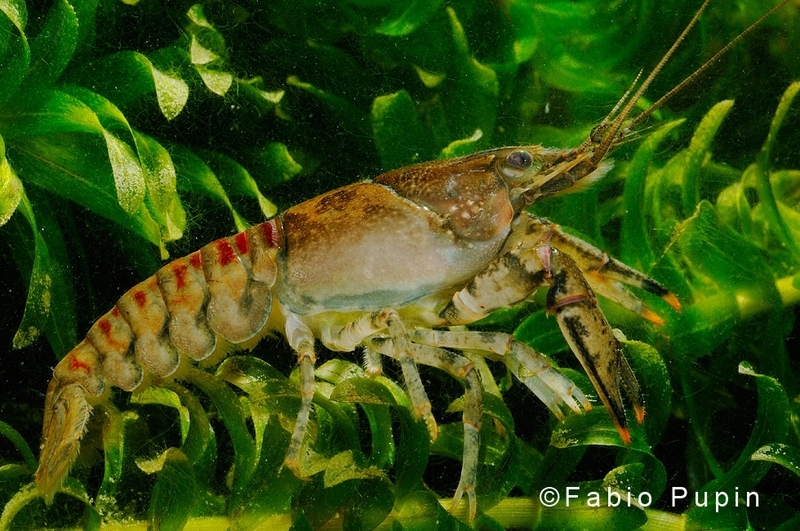 Now the Louisiana crayfish is widespread in Portugal, Spain, France and Italy and there are small populations in Germany, Great Britain and Balcans. 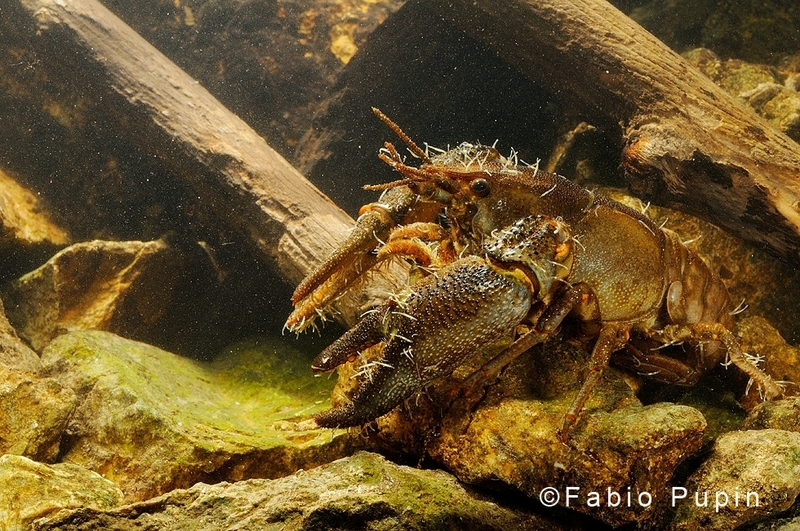 But recent observations confirmed that, at least in these last countries, the Procambarus march is slowing, while in other countries it forges ahead without rivals. Thanks to Elisa Riservato, Marco Di Domenico, Elena Gagnarli, Francesca Gherardi, Laura Aquiloni, Sara Fratini.